Perhaps it was the sight of a fresh dent on your mother’s car, or a report from a family member about an unnecessarily exciting excursion when Dad was behind the wheel. Maybe it’s just the sense that Dad is having a lot of trouble getting around in that big old car. Regardless of the cause, in many families, there comes a time when family members begin to seriously question whether an aging parent should still be driving an automobile. The prospect of relinquishing driving privileges can be upsetting to an older person, raising deep-seated fears about losing mobility and autonomy. 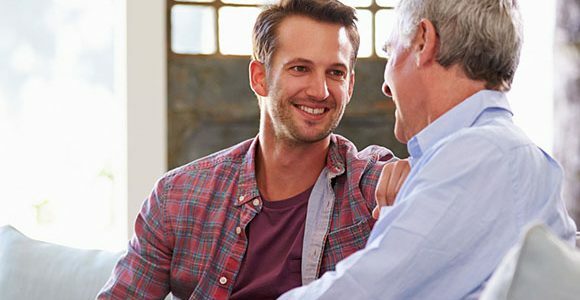 It’s understandable that younger family members might be apprehensive about raising this touchy subject and possibly offending or alienating someone who’s accustomed to giving — not taking — advice. Sooner or later, however, somebody in the family will have seen enough warning signs and decide it’s necessary to initiate “the conversation” with an aging parent about the need to restrict or eliminate that parent’s driving privileges. Before having “the conversation,” take some time to gain an understanding into the strengths and weaknesses of older drivers. The aging process degrades the physical and cognitive functions necessary to safely operate an automobile. 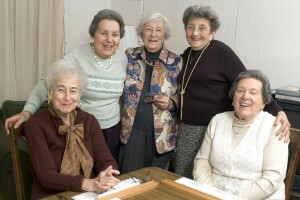 Vision, hearing, reaction time, the ability to think quickly in response to sudden events all may decline as people age. This process occurs at different times — and at a different pace — for everyone. Be mindful that, statistically speaking, older drivers are relatively safe drivers. Drivers over age 65 have a lower rate of crashes (when measured by the number of licensed drivers) than younger drivers, they have the lowest rate of alcohol-related crashes, and the highest rate of seatbelt use among all age groups. However, according to the Insurance Institute for Highway Safety, when crashes are measured per miles driven, drivers age 70 and older have higher crash rates than middle-aged drivers — second only to teenaged rookie drivers. become easily distracted while driving? exhibit decreased confidence while driving? hesitate when responding to unexpected situations? drive too fast or too slow for road conditions? get scrapes or dents on the car, garage or mailbox? have difficulty moving into or maintaining the correct lane of traffic? strike curbs when making right turns or backing up? Any of these factors could be a sign that the time has come to discuss with an aging parent the need to relinquish the car keys. It’s not uncommon for family members to feel apprehensive about what appears initially to be a confrontation. Worries about offending or alienating an aging parent are normal and not without foundation. Unfortunately, some parents will be defensive and unreceptive. If you’re dreading that uncomfortable conversation about driving with a parent, take heart, it might not be as difficult as you imagine. The Hartford, an insurance company, suggests on its website that most older drivers will agree to curtail or stop driving in response to “patient, caring” conversations with family members. Show respect. Don’t accuse an aging parent of being a bad driver. Maintain a positive and supportive attitude. Don’t be accusatory. Focus on ways that an aging parent can remain behind the wheel, such as limiting driving to daytime hours and fair weather. Have a conversation; not an inquisition. Don’t generalize. Yes, many senior citizens have difficulty driving in a safe manner, but your parent may not be one of them. Steer the conversation toward what’s been observed and what is mutually known about your parent’s cognitive abilities and physical condition. Play fair. Don’t speak with your parent’s doctors or neighbors without first asking for permission. Don’t gang up. No one wants to face an organized group of family members. That’s sure to put an aging parent on the defensive. Have one-on-one conversations instead. If you believe (and have evidence to back it up) that an aging parent is a danger to themselves or the public while driving, consider contacting the motor vehicle licensing office in your state. Many states have processes to take unfit drivers off the road. In New York, the Department of Motor Vehicles operates a driver re-evaluation program that will investigate a credible complaint that someone is unable to operate a motor vehicle safely. Complaints may be submitted by police, physicians and family members. If the DMV believes that a complaint has merit, it will request your parent to appear at a DMV office and demonstrate continued fitness to operate a motor vehicle. 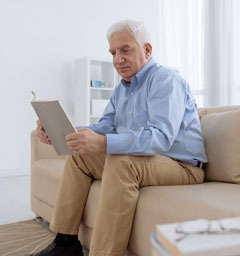 A good resource for family members weighing the need to have “the conversation” with an aging parent is the We Need to Talk online seminar (registration required), developed by AARP, The Hartford and the MIT AgeLab. Before suggesting the drastic step of stopping driving altogether, family members should consider whether their aging parent could, with training and/or increased attention to physical well—being, rebuild any lost capacity to drive safely. Don’t assume that older drivers are incorrigible students, destined to become a greater danger with every passing year. Obtain a doctor’s review of current medications that may be impairing driving ability. Obtain an annual eye examination. Take time to plan the safest route. Leave a large following distance behind the vehicle in front. Minimize in-vehicle distractions such as listening to a loud radio, using a mobile phone, and eating while driving. AARP offers the AARP Smart Driver course for older drivers seeking to raise their road skills. Another good resources is SeniorDriving.aaa.com, a website from AAA that offers links to clinics, road tests, driver education courses, and other resources promoting driver safety among senior citizens. Finally, family members might consider purchasing a new automobile for an aging parent. Many newer vehicles are designed with the needs of senior drivers in mind. These cars come equipped with (1) features that minimize districtions, (2) advanced monitoring and safety technology, and (3) more accessible gauges and controls. Earlier this year, Consumer Reports published its Top 25 New Cars for Seniors, a survey that rated new vehicles for automatic emergency braking technologies, forward collision warning systems, “blind spot” minimization, and senior-friendliness of in-vehicle controls, among other factors. A 2017 study by the AAA Foundation indicated that some of these new technologies can help older drivers drove more safely as they advance in age.